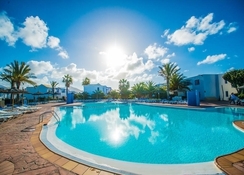 Located close to the beach in the sunny seaside resort of Playa Blanca on Lanzarote, the Hotel HL Paradise Island is a great boarding option for families and couples, with a range of activities, amenities and facilities to keep everyone entertained. 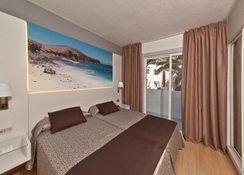 While the fabulous Flamingo beach is within walking distance, the town centre is also close by and features an abundance of shops, cafes, bars and restaurants to suit all tastes and budgets. Surrounded by lush nature and offering spectacular views of the Atlantic Ocean, the spacious apartments at Paradise Island provide modern amenities and excellent service. With four swimming pools, daily tickets to the whacky water park Dino Park, three excellent restaurants serving world-class cuisine, a pool bar, wellness centre, solarium and a wide range of sports and entertainment activities - this hotel is truly a paradise for holidaymakers seeking a relaxing break in the Canary Islands. 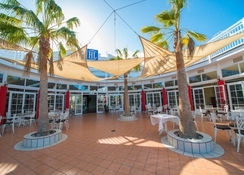 The HL Paradise Island Hotel is located in the sunny Playa Blanca resort of Canary Islands’ Lanzarote, just 1.5km from the beach and 2km to the Town Centre, which buzzes with restaurants, bars and shops. It arranges free daily transfer to the beach with different stops too, making it a popular choice for fun-loving families and sightseers. The Lanzarote Airport is around 33.3km from the hotel and Timanfaya National Park is approximately a 20-minute drive away (20 km). The 290 one-bedroom apartments in HL Paradise Island Hotel offer a peaceful atmosphere, ultimate comfort and modern amenities. Surrounded by well-cared gardens with autochthonous plants, these spacious one-bedroom apartments are comfortably decorated with an independent bedroom, living room with sofa bed, air conditioning, baby cot, safety deposit box, fridge, microwave, kettle, fully equipped en-suite bathroom with shower and a hairdryer, TV, telephone, Wi-Fi (chargeable) and wake-up call service. All guestrooms enjoy a furnished balcony or terrace offering amazing views of the surrounding area. 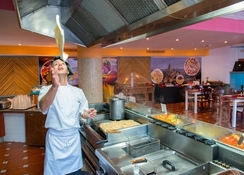 The Paradise Island Hotel Playa Blanca is a delight for gastronomes thanks to its three different restaurants, featuring varied cuisines. 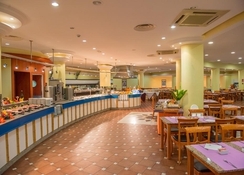 There’s a daily buffet featuring show cuisine and themed menus, where guests can find delicious international dishes, along with delectable Asian and Italian specialties. The food served at the restaurants represent a healthy Mediterranean diet and involve fresh, local products - including spectacular seafood. Drinks are served throughout the day at the lobby bar, while the pool bar offers beverages, soft drinks and light meals or snacks in a relaxing ambiance. 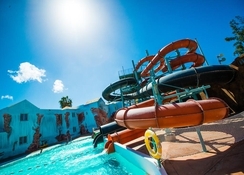 A variety of outdoor activities and entertainment make Paradise Island Hotel Lanzarote a great choice for all age groups. 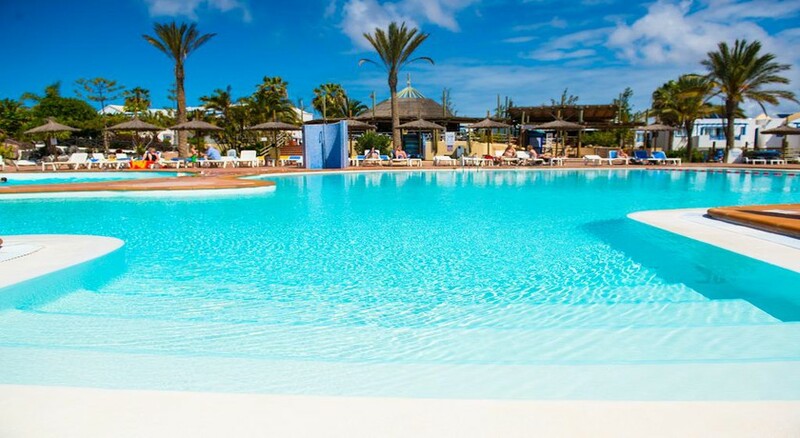 There are four large outdoor swimming pools, a kids’ pool, spacious sun terrace with sun loungers and parasols. Guests can also explore the sporting amenities available nearby, as well as water sport activities. Guests can also rent bikes or cars. For the little ones, the charm of HL Paradise Island Hotel is all the more due to the fun Dino Park water park located within the property. There are loads of exciting rides and slides for children to enjoy in a safe environment. Guests get access to a daily ticket to the park for the entire family. The hotel also provides bundles of evening entertainment such as disco, live music, shows and group activities.